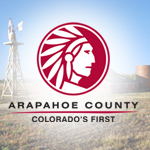 Have a question you've always wanted to ask your Arapahoe County Commissioner? Well here's your chance! Come meet Commissioner Jeff Baker, who represents your District 3, for Coffee and Conversation. Learn about what's going on in the County right now, the services it provides, ask questions, raise concerns and make your community a better place to live! Pepper jelly is a perfect combination of sweet, sour and spicy flavors. When you make it yourself, you can select the spice level by using mild bell peppers or turn up the heat with a few Jalapenos or Habaneros. Most pepper jellys consist of a semi-translucent jelly with colorful suspended pepper pieces. Participants will watch a pepper jelly demonstration, taste test a variety of pepper jellies and take home recipes and directions to recreate them in your home kitchen. Note: The pepper jellies demonstrated in this workshop are not elegible to be sold as a Colorado Cottage Food product.